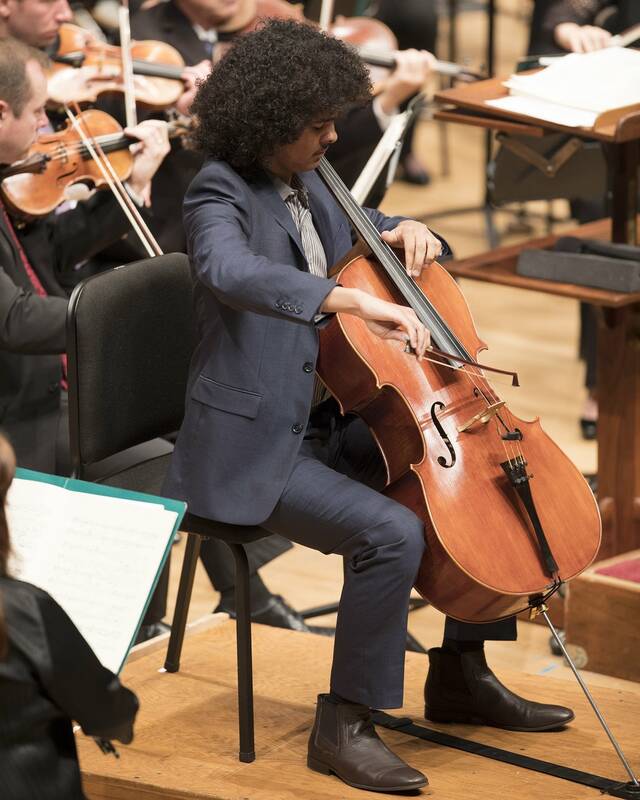 Cellist Nygel Witherspoon has enjoyed more success since his performance last spring at the Minnesota Varsity Showcase Concert. The event, performed before an audience at the Fitzgerald Theater, aired live. Minneapolis' Southwest Journal recently profiled Witherspoon on its front page, and he now currently studies with Tanya Remenikova as a Post-Secondary Enrollment Option pupil at the University of Minnesota's School of Music. In early October, the Minnesota Orchestra, led by Roderick Cox, performed "Send Me Hope," a collaborative concert that brought local artists and African-American church choirs to Orchestra Hall to perform with the Minnesota Orchestra  a celebration of "the power of music to connect communities of diverse traditions and backgrounds" as a "heartfelt message of unity, healing and inspiration." Witherspoon made his Minnesota Orchestra debut that evening with the wide-ranging first movement of Antonín Dvořak's Cello Concerto in B Minor. Something of a concerto-within-a-concerto, the movement lasts around 16 minutes. He received a rousing ovation from that night's audience. He performs it again with the orchestra in May. 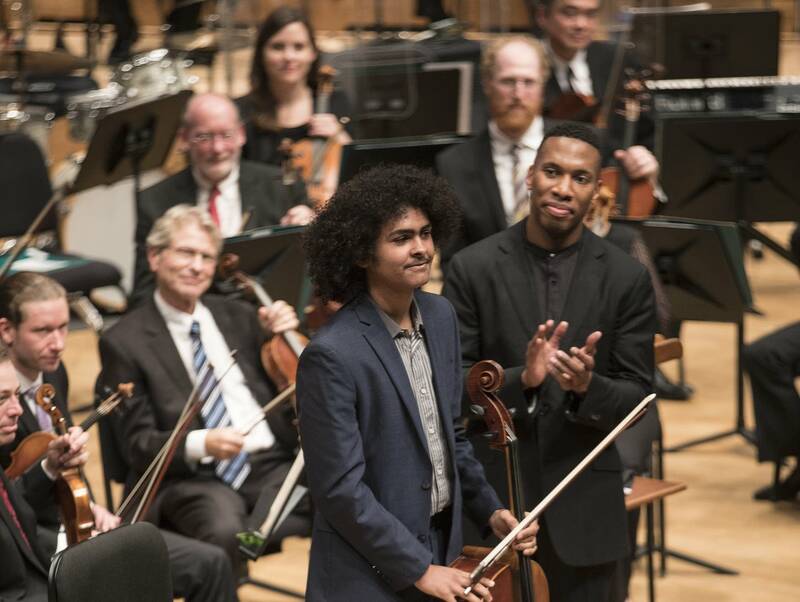 In March, he'll join forces with his musical siblings, violinists Imala and Alistair Witherspoon, for a Schubert Club Courtroom Concert at St. Paul's Landmark Center. "Nygel is still extremely grateful to MPR and his wonderful experience last year," writes his mother, Katie Daniels-Witherspoon. Several of Minnesota Varsity's showcase and featured-round artists have gone on to great things, in music and in other spheres. For more on these remarkable young people, check out "Where are they now?"  an online series that tracks past participants' latest ventures and successes. The submission deadline for Minnesota Varsity's 2018 season closed Dec. 4. Check back here for updates on the composers and performers who've entered. Minnesota Varsity: Where are they now?